In the interest of speaking where the Bible speaks, we sometimes over state the facts and leave something out. Because the Word is God’s message for us to study and learn His ways, we sometimes de-emphasize the spirit. We speak the truth, and rightly so, but we pay scant attention to the love, Eph 4:25. Worship is to be in spirit as well as truth, Jn 4:23,24. It is the spiritual, emotional, feeling that grows cold even while fighting hard against doctrinal error. Didn’t Jesus say to the church that “put to the test” those who were claiming to be apostles that they had “left their first love”? How can this be? Well it is very simple. Christianity isn’t merely a set of rules to be followed, but is is love, joy and peace. Christianity is to be in the heart and not in the head alone. The first great commandment to love God can be completely passed by while we keep all of the other commandments. An example of going too far when trying to keep doctrinal error at bay is when it said we do not worship Jesus. “No”, we are reminded, “we are to worship God the Father.” Then why did the disciples worship Jesus? And why did Jesus accept their worship if only the Father was to be worshiped? “And they came up and took hold of His feet and worshiped Him” Mt 28:9. There’s no way to justify that worship as being temporary or that it was merely a type of homage that anyone might rightly give to a superior. No, they bowed and worshiped Jesus. It happened time and again. It happened before the cross and it happened after the cross. Why? Because Jesus is God the Son. The Hebrews epistle is all about the glorification of Jesus Christ. In it, it says, “And when He again brings the firstborn into the world, He says, “AND LET ALL THE ANGELS OF GOD WORSHIP HIM.” Heb 1:6. Did you catch that? God said the angels worship Jesus. And we see this confirmed in Revelation 5 which is all about the Lamb which was slain but is now alive. It says, “And the four living creatures kept saying, “Amen.” And the elders fell down and worshiped.” Rev. 5:14. We want to Biblical but let’s remember that truth doesn’t preclude spirit. Let’s remember that when we strive to be sound in doctrine, that we need to be kind, loving, gentle, and compassionate too. How can we say that we truly know Jesus and not bow to Him? We can’t. 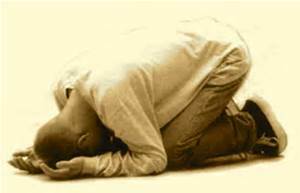 The holiness and blessedness of Jesus compels a soul to fall on his knees before Jesus. O Jesus, we worship you. From the bottom of our hearts, dear Jesus, we thank you for ever praying for us, Heb 7:25. Thank you, Lord Jesus, for always understanding and for tenderly taking our needs, our brokenness, and the praise in our souls to our Holy Father. We truly worship Thee, Jesus Christ. From the bottom of our hearts, and with all of our love, we do Thy will. Let not your love for Truth and for doctrinal soundness cause you to go so far that you neglect showing proper reverence and worship to the Lord, Jesus Christ. When we worship the Lord Jesus Christ we worship the Father in Spirit and in truth, that is because the Lord Jesus Christ is our Holy Father and no other. If we worship another, other than Jesus Christ, we worship a false god and have transgressed the first commandment of the Lord. Hi Dan, I don't think that we can go too far. What do you think, if someone worshiped Jesus AND another person called Father, do they worship TWO gods or not?? Well, I think that is the great apostasy of today.